Posted on 03/24/2019 by Dr. Patrick Young wrote in Methasterone (Superdrol). It has 0 Comment. 1. What is Methasterone (Superderol)? 2. What Products Contain Methasterone powder? 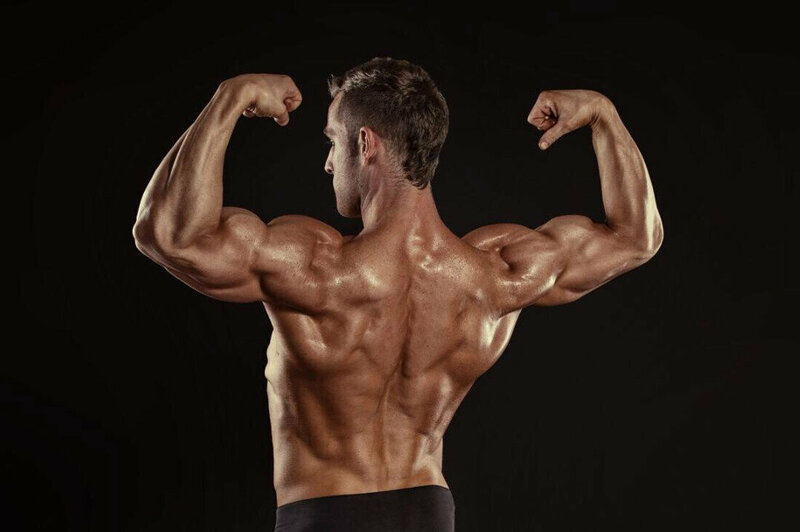 In simple terms, Methasterone, also known as methyldrostanolone, mostly sold under the brand name Superdrol, is one of the strongest oral synthetic and orally-active anabolic-androgenic steroid (AAS). This oral steroid is popular with athletes, bodybuilders, and those looking to build lean muscle mass. If you’re getting wind of this drug just now, here’s our detailed Methasterone review that will tell you everything you need to know about it. The history of Methasterone powder dates back to 1956, when it was discovered during a research that was carried out by the reputable drug manufacturing company, Syntex Corporation. The aim of the research was to find a compound with anti-tumor properties that could help battle cancer. It was during their search for an anti-cancer compound that the researchers stumbled upon Methasterone(Superdrol). While Methasterone(superdrol) didn’t exhibit many anti-tumor properties, it turned out that that the compound possessed other positive properties. In subsequent tests, it was discovered that Methasterone(superderol) possessed the oral bioavailability of methyltestosterone, while being 20 percent as androgenic and 400% as anabolic, yielding an anabolic to androgenic ratio (also referred to as a Q-ratio) of 20. Although Methasterone(superderol) was discovered back in the 1950s, it was never commercially available to the public as a prescription drug. It remained unheard of until 2005, when a new found interest in the compound disclosed that Methasterone(superderol) was more anabolic than androgenic. This piece of news was exactly what the bodybuilding society needed as it meant that the drug’s bodybuilding qualities far exceeded the amount that it could affect the body’s hormones. What Products Contain Methasterone powder? Superdrol is the well-known supplement that contains Methasterone powder. The product hit the shelves of major supplement companies in 2005. Under the brand name Superdrol, it was marketed as a dietary supplement or prohormone and it enjoyed a massive success. In 2006, the product happened to catch the FDA’s attention and it was discontinued. Even though Superdrol was banned, black market and over-the-counter Methasterone continued to trickle into the market. In 2012, the drug was added to the U.S controlled substance list as well as to the World Anti-Doping Agency (WADA) list. Moreover, Superdrol was classified as a Schedule III controlled substance like all other AAS. 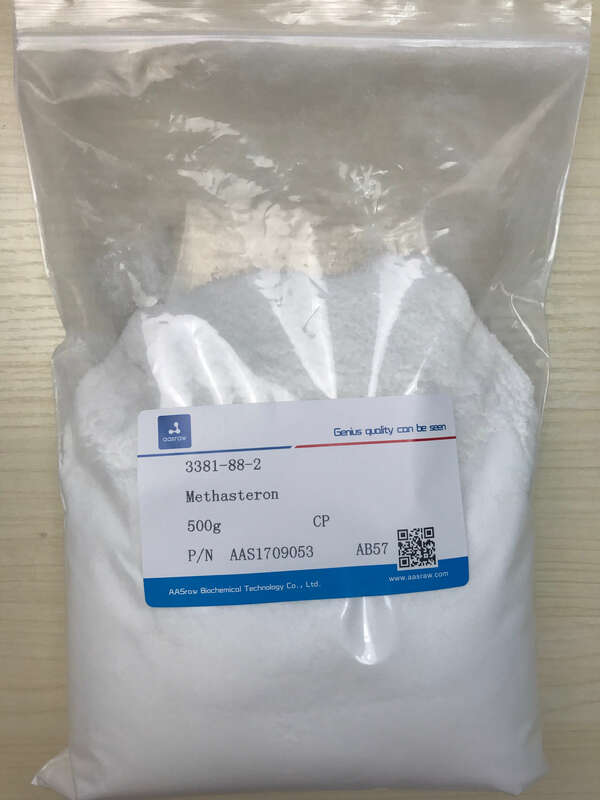 Today, Methasterone, whose CAS Number is 3381-88-2, is still widely used in the bodybuilding scene and many consider it one of the strongest oral steroids available. You will still find it on the market as Methasterone, Superdrol, or Methyldrostanolone. There is also a variation of Superdrol known as Dymethazine. While it has the same properties as Superdrol, Dymethazine is totally legal in the U.S. Other products that contain Methasterone powder include Superdron, SD Extreme, Beastrdol, Phreak, and Maxdrol. According to some of the data, methasterone detection times commonly ranged from three days to approximately 10 days. Methasterone(superderol) has never been marketed for medical use. This means that it has never been a commercially available prescription drug. Nevertheless, Methasterone steroid is mostly sold as an over-the-counter dietary supplement. In some of the Methasterone studies, this steroid has been shown to enhance one’s general well-being. It is believed to improve one’s sleeping patterns while also giving the user a confidence boost. In addition, use of Methasterone has been linked to feelings of happiness and a general positive outlook towards life. Methasterone bodybuilding results in an increase in your lean muscle weight. You can gain up to 10 lbs (or more) of pure lean muscle within a span of about four weeks. Even better news is that this anabolic steroid has a very low conversion rate to estrogen and none of the weight that you gain is water weight. The fact that the weight gained is entirely dry mass, it can be sustained for a long time. Undeniably, exercising is a good way of getting rid of excess fat and gaining some lean muscle, but adding Methasterone steroid to the workout regiment makes all the difference. Since Methasterone steroid allows you to endure intense workouts, you will be able to burn more calories during your workout sessions. Furthermore, this drug can help you stick to a calorie-free diet and still enable you to increase your muscle weight. With this product, it will be quite possible to gain muscle mass and lose weight simultaneously. Methasterone(superderol) can be used for bulking. This is because it contains protein in high quantities and enhances production of cells that enable you to build sturdy muscles. A Methasterone cycle can be completed in just five weeks. In just a month, you can expect to gain 8-10 lbs. Methasterone(superderol) can also be used for cutting. This is because it burns off excess fat from the body. Moreover, it speeds up your body metabolism, which sequentially washes down harmful toxins from your body. By investing a small amount in Methasterone steroid, you can attain a trim and slim body over time. For best results, it is important that you exercise regularly as you continue with your Methasterone Cycle. One thing about Methasterone that impresses bodybuilders, athletes and fitness enthusiasts is this drug’s fast-acting nature. Synthesis of methasterone in the body is also quicker than other bulking drugs. In just 4 weeks, you can gain anywhere from 8 to 10 pounds of lean muscle mass. This is quite impressive, considering that it normally takes months for users to achieve this type of results. While Methasterone steroid has a cycle of just 5 weeks, you can complete a Methasterone cycle in only 3 weeks. This means that you can go through many cycles over a short duration of time. Moreover, you can extend your recovery periods to minimize the severity of Methasterone side effects. The short cycle makes Methasterone an ideal option for you especially if you are looking for a kick starter for a bulking cycler. The fact that a typical Methasterone cycle persists for 3 to 5 weeks means that your liver will be exposed to this anabolic steroid for only a short period of time. This will give your liver time to recover. Most people who have used Methasterone steroid report mild liver problems when using the drug, which means that it is much safer compared to other steroids. There are various supplements that you can take together with Methasterone steroid in order to protect your liver and keep your blood pressure and cholesterol levels in check. To protect your liver, you should take 2g of milk thistle per day to help detoxify and regenerate your liver cells. For cholesterol support, you are advised to take 1.2 g of red yeast rice per day. Be sure to take 100 mg of CoQ10 daily as red yeast rice can lower your CoQ10 levels. For blood pressure support, be sure to take 2g of hawthorn berry per day. This is the ideal steroid to use if you want a bulking steroid that can help you lose water weight. You can pair this drug with wet steroids to get remarkable results. Pairing it with wet steroids will also prevent you from bloating. Dianabol, or simply Dbol, is an anabolic and androgenic drug that offers little progsetational activity. Just like Methasterone 3381-88-2, Dbol is categorized as a Schedule III drug. It has profound effect on protein metabolism, and it is easily passed through the liver. While Methasterone steroid should be used at 20-30 mg for at least 4 weeks at a stretch, Dianabol is ideally used in daily doses of 20 mg everyday for not more than 8 weeks. This makes Dbol an ideal steroid for longer cyclers. Nevertheless, Methasterone(Superdrol) leads to better strength gains and makes the body harder and more vascular than with Dbol. Another thing that sets Superdrol and Dianabol apart is the price. Superdrol is available at a lower price compared to Dianabol. 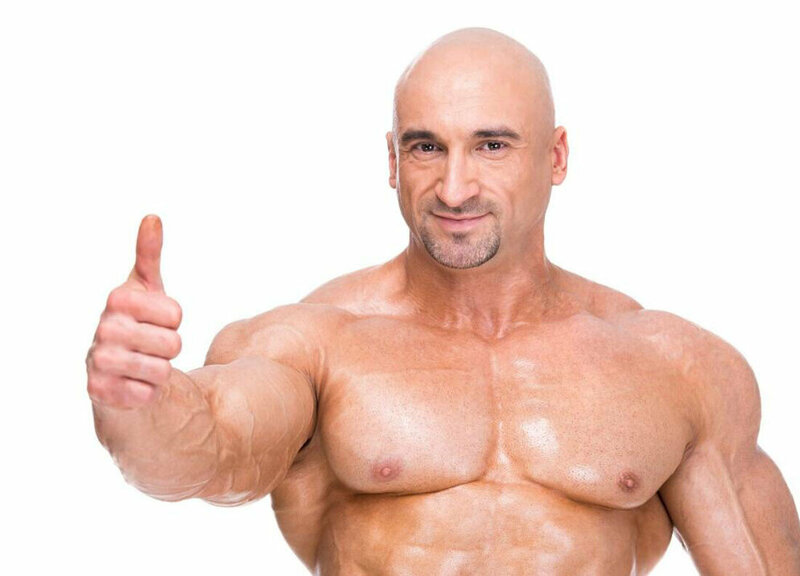 Besides its affordability, gains made with Methasterone(Superdrol) are more sustainable than with Dianabol, making it an ideal choice for bodybuilders and athletes. Just like Methasterone(supderdrol), Anadrol is also considered one of the most potent oral steroids. With Anadrol, dramatic gains in muscle mass and strength are noticed within a very short time. It is common for users to have a body weight increase of 10-15 lbs in just 2 weeks. One of the major differences between Methasterone and Anadrol is the dosage. While the recommended Methasterone dosage is 20-30 mg per day, the ideal Anadrol dosage is 50-200 mg per day. This means that you need to use smaller quantities of Methasterone steroid than Anadrol. If using Anadrol for the first time, it is advised that you take only one 50 mg tablet. After a week, you can add the daily dosage to two tablets, one taken in the morning and the other in the evening. Those who weigh more than 220 lbs can increase the Anadrol dosage to 150 mg per day in the 3rd week. It is good to note that Anadrol quickly saturates the receptors, thus its intake should not go beyond 6 weeks. Another difference between prohormone Methasterone and Anadrol is that gains made with Superdrol are more sustainable than with Anadrol. This is because the weight gained is entirely dry mass, thus can be sustained for a long time. With Anadrol, however, the dramatic mass build up that is observed shortly after intake quickly decreases. This is because the weight gained is water weight, thus is lost rapidly after you stop using the drug. To retain muscle mass after an Anadrol cycle, it is advisable that you continue steroid treatment with another steroid drug. Failure to do so, you will experience an equally drastic reduction in muscle mass and you will go back to your original shape. In fact, no other anabolic and androgenic steroid leads to such a drastic loss in mass and strength as Anadrol does. Majority of Methasterone cycles will last anywhere from four to six weeks. At the commencement of a bulking or cutting Methasterone cycle, you should never take more than 10mg per day during the first week. In the 2nd and the 3rd weeks, you can increase the daily dosage to about 20mg. During the fourth week, you can increase the dosage to 30mg/day for optimal results. In a 10-week Methasterone cycle, it is recommended that you take 250-500mg per week of Sustanon 250 for the ten weeks. Be sure to exercise on a regular basis as you go on with your cycle. The ideal Methasterone dosage is 10mg tab/pill taken in the morning and another taken in the evening. While experienced users can take even up to 40mg per day, those who have never used this anabolic steroid should strictly run it at 10-20mg per day. Besides helping you put on mass, Methasterone(superdrol) increases your strength tremendously. Most users get to add 50 pounds to their main lifts over the course of four weeks. When combined with other AAS, Methasterone before and after results are much better. When the recommended Methasterone dosage is observed, the side effects of methasterone can be greatly minimized. In case symptoms of Methasterone side effects are severe, it is advisable to discontinue using the drug and seek medical attention. The interesting thing is that it was once possible to find Methasterone for sale at regular supplement stores. Even though the drug was banned in the U.S, it doesn’t necessarily mean that you can’t still buy Methasterone. You can actually find Methasterone for sale online, especially from the UK and China where it is still legal. Methasterone UK and China is available for sale under a variety of brand names. Methasterone price isn’t something to worry about because the drug comes at a very cost-friendly price compared to other similar drugs.